Wednesday till Sunday from 12.00 – 17.00 h.
All you consider as I, you, he, she and it, is one only. What you consider to be sentient beings and what you consider to be insentient, such as earth, air, fire and water, is all one. As humans we are part of the whole, inextricably bound up with universal oneness; yet we are also capable of reflecting upon this oneness. ‘Het Scheldeterrein, the heavy sheet iron assembly plant of the KSG ship wharves in Vlissingen, is a place where the relationship between man and machine is intensely experienced. On a human scale, the building appears out of proportion; one is made to feel small’. 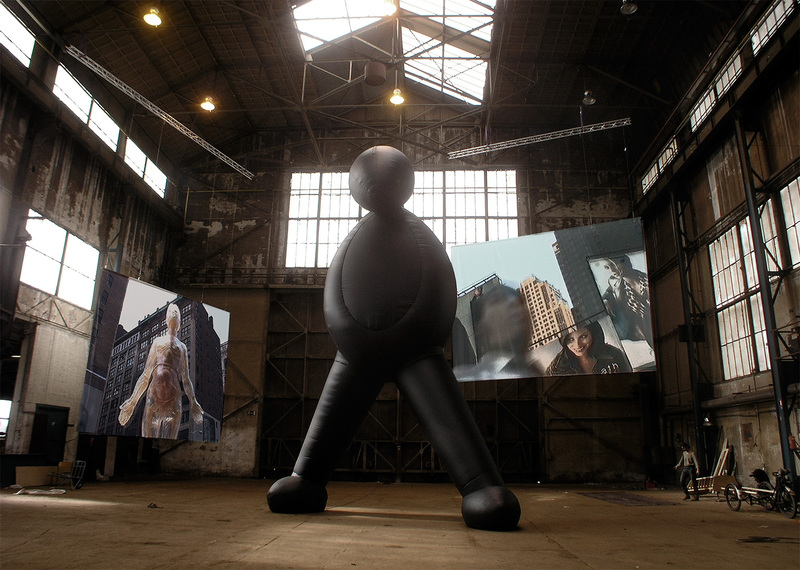 The installation by Alex Vermeulen in the hall consists of a ten metre tall SOH figure constructed of inflatable synthetic material; a modern day archetype which embodies essential aspects of the human body. 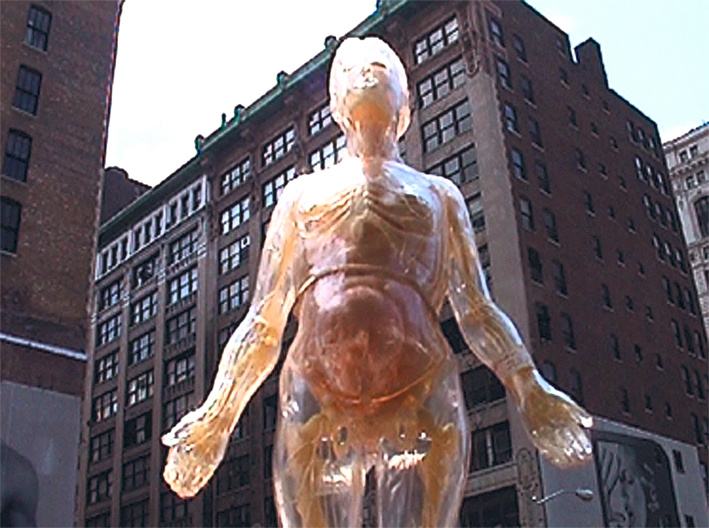 The figure is framed by two large video stills of six by eight metres. ‘There are two ways of dealing with the sense of personal insignificance one experiences walking through this immense space: the first is to let oneself be overwhelmed, thereby annihilating all sense of self through the realization that one is only a tiny fraction of the whole. However, it is also possible to view oneself as a tiny fraction which is nevertheless of vital importance, a wondrous element of the universe’. Inflatable sculpture Height 10 meter, two inkjet prints 6×10 meter.